Dennis E. Campbell was raised a Master Mason on Dec. 4, 1980 at the Bloomingburg Masonic Lodge 449. He became a member of the Scottish Rite on April 25, 1981. He joined the Aladdin Shrine in 1981 and has been a valued member and dedicated Shriner since that time. He is a member of the Ambassadors, Hillbillies, Washington Court House Shrine Club and the Provost Unit. He attends most Shrine functions and helps supports the Shrine cause. He loves watching and supporting us at parades and helping Aladdin in any way he can. He always has a smile on his face. He is an accountant and auxility with the Fayette County Sheriff’s Office. Campbell has been nominated for the Aladdin Shrine “Shriner of the Month” Award. https://www.recordherald.com/wp-content/uploads/sites/27/2019/02/web1_img097.jpgDennis E. Campbell was raised a Master Mason on Dec. 4, 1980 at the Bloomingburg Masonic Lodge 449. He became a member of the Scottish Rite on April 25, 1981. He joined the Aladdin Shrine in 1981 and has been a valued member and dedicated Shriner since that time. He is a member of the Ambassadors, Hillbillies, Washington Court House Shrine Club and the Provost Unit. He attends most Shrine functions and helps supports the Shrine cause. He loves watching and supporting us at parades and helping Aladdin in any way he can. He always has a smile on his face. He is an accountant and auxility with the Fayette County Sheriff’s Office. 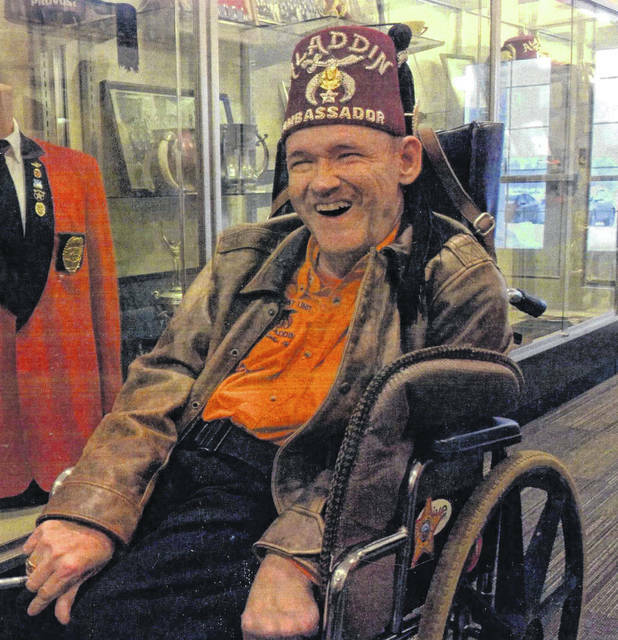 Campbell has been nominated for the Aladdin Shrine “Shriner of the Month” Award.